While several members of the Bar stayed away from Courtroom no. 1 where Justice Chelameswar presided on his last working day, Lawyers Collective organized a reception for the outgoing Judge the same evening. 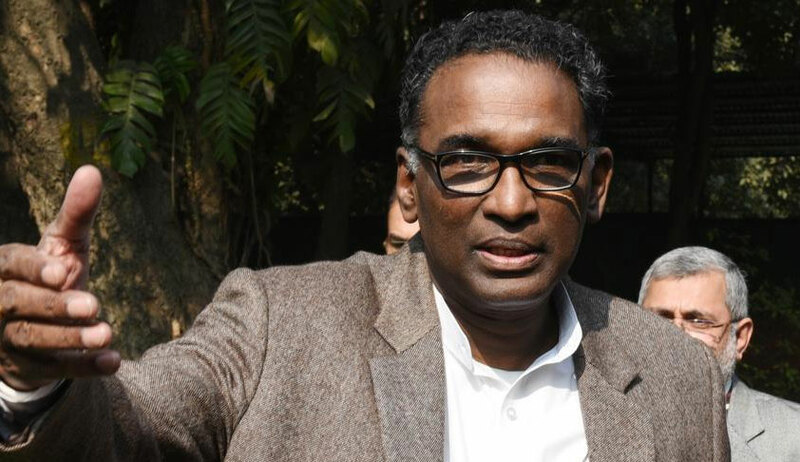 Addressing the gathering, Justice Chelameswar began by acknowledging the support that he received from the younger generation, while light-heartedly censuring "one crore a day lawyers", who he felt "hardly open their mouth" and "hardly take a stand". He said, "It was pointed out to me that over the last year and a half, I have undertaken to democratize the institution. It’s the younger generation that has stood by me. The established and acknowledged constitutional lawyers and jurists attacked me from every side." I stood up for certain issues and values. Wherever I perceived that things were going wrong, I stood up, I raised questions." ...But the established systems are such that any questioning will not be taken kindly. You are required to have the courage, the determination to fight the system if you want to bring about good change. Every fight is not necessarily good. But if you're convinced on principle that the fight is to be carried on for good change, please go ahead!" He spoke about the reactions received on the press conference as well, but lamented the fact that either former Judges didn't want to hold an opinion at all, or wanted to remain anonymous while giving one. Sir, Please speak up now!," he added. He now pinned his hopes on the younger generation to take up the issues and voice their opinions. His address ended with him asserting that he is going to continue his service to the country, and thanking especially the younger generation for its support.